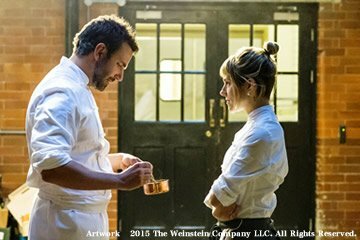 "Burnt" is a film about a struggling 2 Michelin star chef aspiring for his third, starring 3-time Academy Award Nominee, Bradley Cooper. Inspired by charismatic London chef, Gordon Ramsay, and produced with Marcus Wareing as chef consultant (under whom Cooper trained to be ready for the film), "Burnt" serves up exquisite images of contemporary cuisine and depicts the effort and drama that is needed to produce a single dish in a top-tier kitchen. Le Cordon Bleu Japan Classic Cycle (Cuisine, Pastry, Bakery) students and graduates are invited to this exclusive pre-release viewing of "Burnt". *We kindly ask you arrive at the venue 5 minutes prior to the start of the film. Once it begins, entry into the theatre will not be permitted.